Mick Mulvaney, the CFPB’s acting chief. The Consumer Financial Protection Bureau (CFPB), an agency of the United States government responsible for consumer protection in the financial sector, has announced the launch of a new “regulatory sandbox” to simplify it for emerging financial technology firms to bring new products to market, specifically in such disruptive domains as microlending, digital currencies and blockchain. 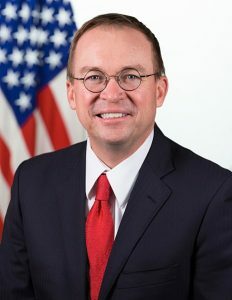 The announcement was made by the CFPB’s acting chief, Mick Mulvaney. According to an email CoinReport received from Ripp Media, law firm O’Melveny’s communications agency, a former Arizona assistant attorney general, who previously assisted in developing the sandbox program of the state, will be overseeing the initiative. 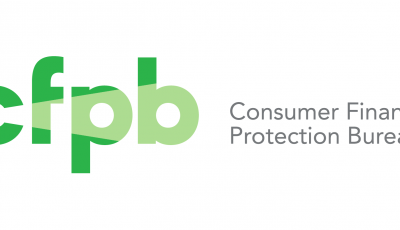 The CFPB’s new office of innovation is reportedly hoping to assist firms with different ways to stay compliant with financial regulations, including how they deal with consumer credit scores and mobile payments, and also how they gather data from social media. In the new sandbox, rapidly expanding financial technology companies will be presented with not only risks, but also opportunities. Observing the progress is Laurel Loomis Rimon, an ex-federal prosecutor who served as the CFPB’s assistant deputy enforcement director. She is now a member of the financial technology/financial regulatory team with O’Melveny. Sharing her thoughts on how it can be ensured that everyone plays nice in the sandbox, Rimon said, “To be effective, the CFPB will need to do more than it has done previously,” pointing out the agency issued only one “no-action” letter to a California-based online lending platform since it was launched in 2012. She goes on to note that it will be necessary for the agency to integrate its new sandbox with the larger financial regulatory regime. “While perhaps wishful thinking, the greatest opportunity for fintech innovation would lie in a coordinated sandbox effort among federal (and state) regulators,” she said. As well as working for the Justice and the CFPB, Rimon also served as general counsel in the Inspector General’s office at the Department of Homeland Security, where she advised on several criminal and administrative investigations, audits and enforcement actions. Moreover, she was an investigative counsel at the Federal Housing Finance Agency’s Office of Inspector General.